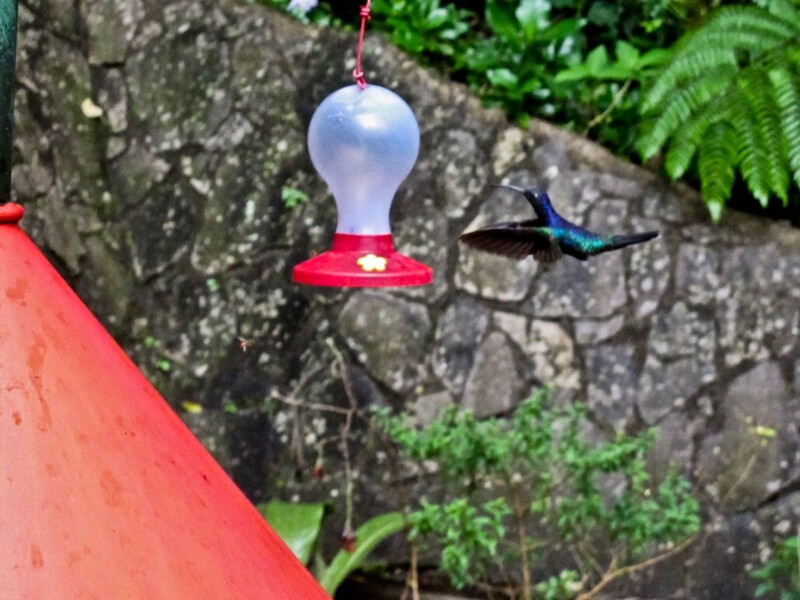 At the Selvatura Hummingbird Garden, in Monteverde, Costa Rica visitors can observe more than 14 different species of hummingbirds including species that are not commonly seen in other areas of Monteverde. At the garden, the relaxing waterfalls and the beautiful floral arrangements provide a perfect setting for photography lovers. A series of bird-feeders are filled with sugared water, around which fly dozens and dozens of hummingbirds, darting from one feeder to another, never staying still for more than half a second. They certainly aren’t shy either. They are like miniature helicopters hovering by your ears and zipping past your head. But apart from having them so close, they are incredibly beautiful and elegant birds of very vibrant colors, and I watched them for 20 minutes before it was time to go. 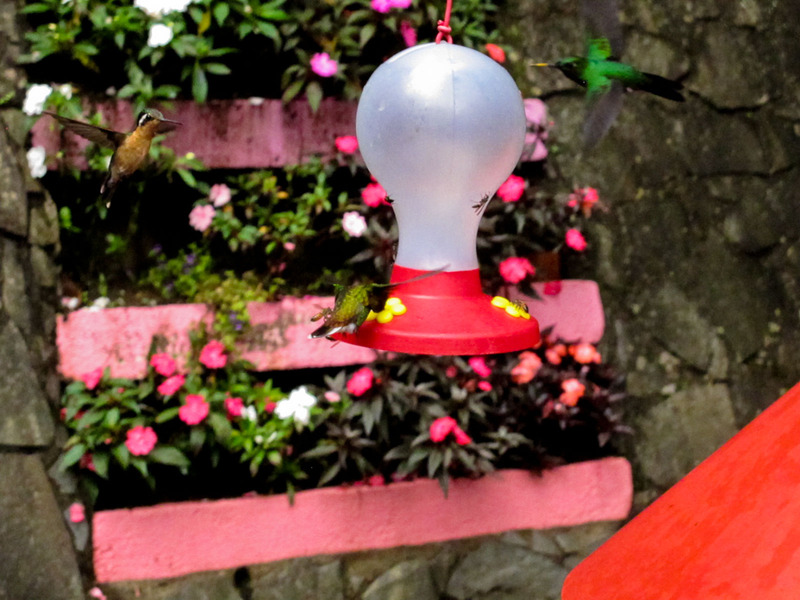 Monteverde, Costa Rica – Watch Out Tarzan! Okay, Lesley are you channeling me or what this is three for three. I have been here. I studied in CR while in college. I was at this very place, in fact not long ago I found some old slides I had from that trip. I shot most of my photos back then in slide format. Thinking that if I decided to teach I would have slides I guess. Sadly I can’t find the photos of my time there. Thanks once again for the memories.